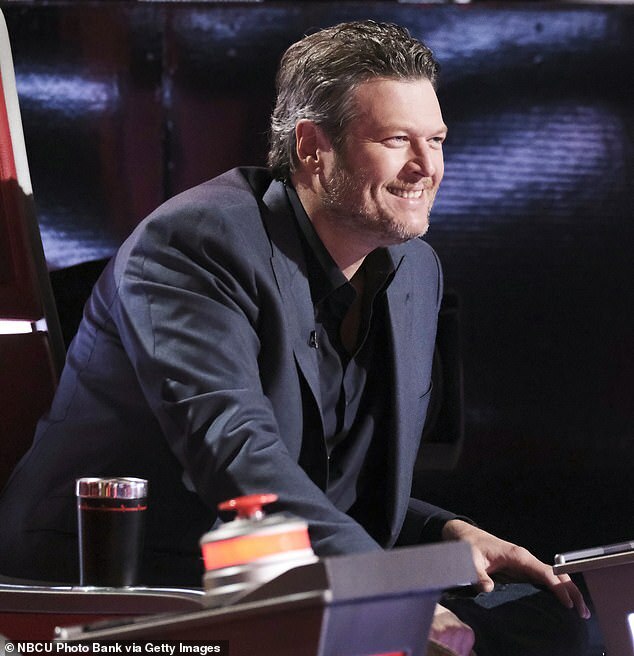 Blake Shelton saved his steal to nab singer Oliv Blu on Tuesday’s episode of The Voice as the Battle Rounds concluded. The 42-year-old country star pressed his red button to steal Oliv, 20, after new coach John Legend, 40, declared Kayslin Victoria, 16, as winner of the battle round duet. Show host Carson Daly, 45, solicited final remarks from Oliv who thanked John and said it was an honor to work with him. John left his chair and gave Oliv a good-bye hug as judge Kelly Clarkson, 36, regretfully said, ‘I wish I had a steal’. Blake, who was the only coach with a steal remaining in the Battle Rounds, then surprised everyone by taking Oliv. ‘I stole Oliv because there’s really nobody else in the competition that fills Oliv’s lane. It’s very jazzy, but I think there’s more to it than that, and I can’t wait to see where it goes,’ Blake said. Oliv joined Blake’s team as The Voice next week will introduce a new round of competition known as the Live Cross Battles.